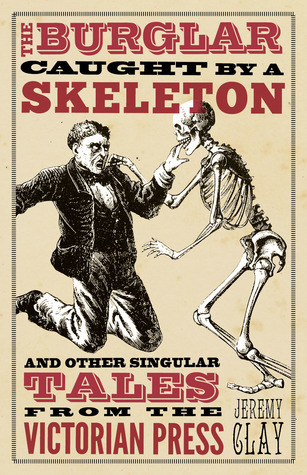 The Burglar Caught by the Skeleton, by Jeremy Clay, is the first book I read as part of Non Fic November. When I first picked it out I expected a book filled with lively retellings of a few bizarre stories from Victorian newspapers, but that’s not really what I came away with. Pretty much all the stories were quite sensational, but I still got quite bored. This was a very long book, filled with lots and lots of pretty similar articles, divided into sections (Animals, Love, Marriage and Family, Eating and Drinking, Health and Medicine, Coincidence and Luck, Sport, Hobbies and Pastimes, Inventions, Life and Death, Superstition, Belief and Supernatural, Crime and Punishment, Wagers, Accidents and Disasters, Fashion and Clothes, Arts and Entertainment). I would have preferred him to include less stories, and expand on them himself. Is it bad that my favourite parts of the book were Clay’s chapter introductions? He’s funny, and charming, and has the kind of voice that makes you want to keep reading… however, he had this habit of describing a story in quite a lot of detail and then putting that same story in the section… it seemed like slightly unnecessary repetition. I just wish he’d have included more of his own writing in the book! I quite enjoyed the glaringly obvious creative liberties taken by the journalists of yore (which were so extensive I’m not sure this book should count as non-fiction), and the sheer volume of articles entitled ‘a remarkable incident’, but I found it quite a dry read. When I was younger (well, ever since first reading Jane Eyre really) I used to dream about living during Victorian times… but after reading about all the escaped lions, and poison, and death by coffin, and dodgy medicine, I’m just not so sure! I wouldn’t recommend reading it as a you would a novel – it just doesn’t have the best ‘flow’ (and it took me FOREVER to get through!). However, I would say this is a great book to dip into if you’re looking for a bit of writing inspiration… it’s definitely a great source of interesting plot lines! I’m looking forward to two gigs this weekend: Bowling for Soup and Blue. I am just so excited I can’t even describe it! Luckily I’ve managed to get the day off on Monday, sadly I’m feeling far too old to do two nights in a row and then be up at 6am! I’ve been lagging behind a bit with my Life Book pages, but I have been enjoying Alisa Burke’s latest class ‘Layers of Love’. 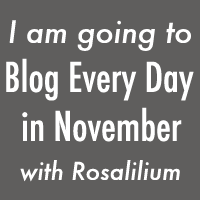 For more information on her schedule of fabulous Autumn classes check out her blog. I’ve been getting to know the people in my L140 (Intermediate Spanish) and A363 (Advanced Creative Writing) classes – there seem to be a lot of unusual characters which is always fun! I love the ‘start of a new year’ feeling that hovers in the air around this time of year… I’ll be posting more about my new modules next week, so stay tuned! Last Thursday I joined Slimming World, it’s definitely been a challenge learning how to cook in a new way – I’m definitely an ‘if in doubt, add more butter’ kind of girl at heart. It’s my first weigh-in tonight so wish me luck! I’m getting ready for my last ever Quirky Crafts challenge as part of the Design Team. I’ve had a lot of fun working with the girls, but I really need to buckle down and focus on my last year of University for now. 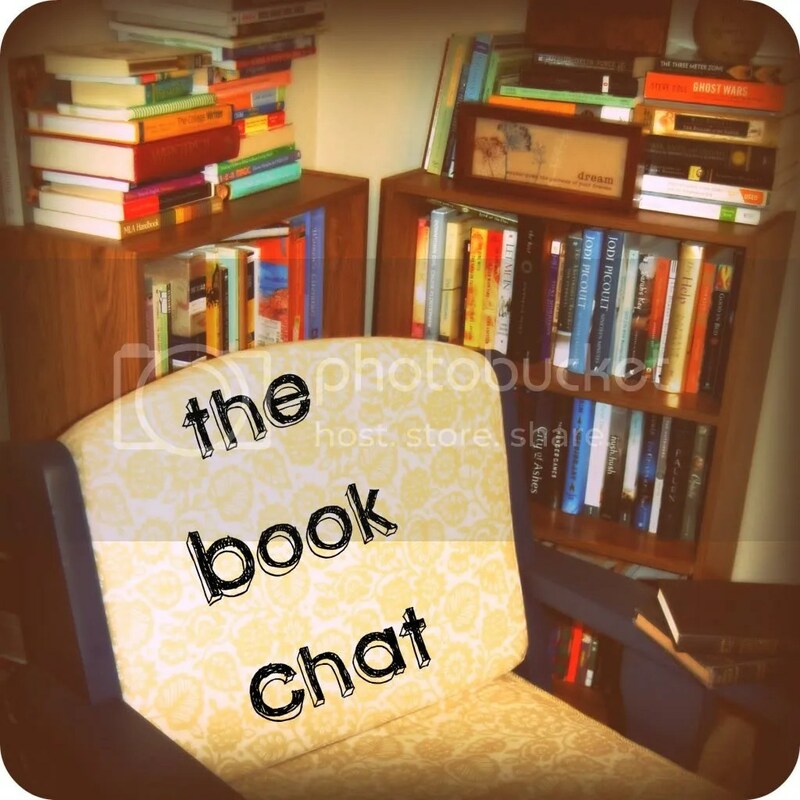 Do you remember last week I posted about the Semi-Charmed Autumn Book Challenge? Well today I thought I’d share my preliminary reading list for said challenge – these are no way set in stone, but I’ve been thinking about reading some of these for quite a while, so why not now? – Read a book that does not have “the,” “a” or “an” in the title. – Read a book that has been featured in Oprah’s Book Club. – Read a book that takes place in the state where you currently live. If you do not live in the U.S., read a book that takes place in the country where you live. – Read an epistolary novel, which is a book written in letters, emails, diary entries or other documents. – Read a book first published in 2013. – Read a book with something spooky in the title. – Read a book with “air,” “water,” “earth” or “fire” in the title. – Read a book on which a television series has been based. – Read a fiction book that has someone’s first and last name in the title. – Read two books by the same author. They can be in the same series, but do not have to be. Co-authors do not count. – Read a fiction and non-fiction book about the same topic. So are you going to join in with this fabulousness? If you are, don’t forget to link your introductory posts up here. 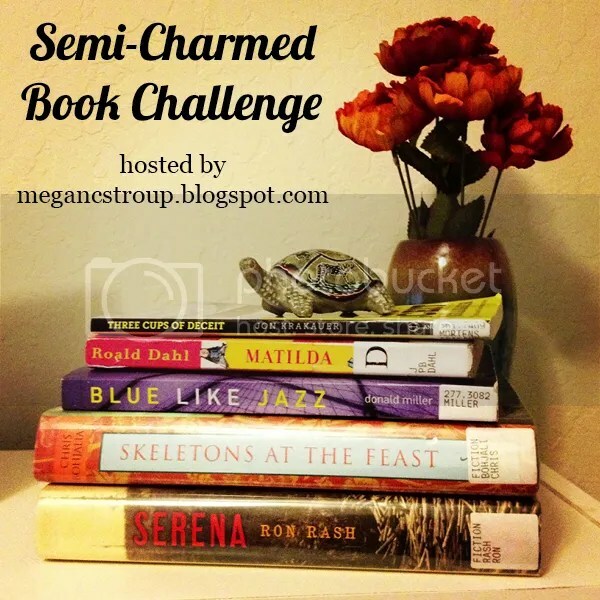 I’m very excited to announce that I’ll be taking part in Megan from Semi-Charmed Kind of Life’s Autumn reading challenge. I’ve been in a bit of a reading lull ever since I moved (partly because I’ve lost my Kindle and partly because my bus journeys are way shorter so I have much less reading time! ), so I need something to give me a bit of a push. I really wanted to take part in her Summer reading challenge, but I didn’t find out about it until quite late on, so I wouldn’t have had time to complete it… but this time there are no excuses! So without further ado… the rules! The challenge will run from October 1, 2013, to December 31, 2013. Up to three of your book choices can be rereads, but no more than that! All books much be 200 pages long. Each book can only be counted in one category. Each book you read is worth a certain amount of points, with 200 as the highest possible total. The first five people who finish the challenge will win a featured/guest post on Semi-Charmed Kind of Life and be invited to contribute a category for the winter challenge. Good luck! 5 pts: Read a book that does not have “the,” “a” or “an” in the title. 15 pts: Read an epistolary novel, which is a book written in letters, emails, diary entries or other documents. 15 pts: Read a book first published in 2013. 20 pts: Read a book on which a television series has been based. 25 pts: Read a fiction book that has someone’s first and last name in the title. 30 pts: Read two books by the same author. They can be in the same series, but do not have to be. Co-authors do not count. 35 pts: Read a fiction and nonfiction book about the same topic. Megan will also be publishing monthly ‘check in’ posts, so make sure to follow her! So, anyone interested in playing along? Even if you’re not, feel free to help me come up with some ideas! P.S. I’ll be posting a preliminary reading list next week so stay tuned! I have a confession to make… over the past few months I’ve been neglecting my whimsical reading challenge. Good job there’s no time limit, eh? To celebrate my renewed efforts I’ve made a button (above), so if you’re playing along feel free to grab it! I’ve got almost a full set of Alexandre Dumas novels sitting between my shelf and my Kindle library and I’ve never read a single one! I’ve adored all of the film adaptations though, so I’ve promised myself I’ll start reading them soon. This is probably my favourite of all the books I’ve read this year, and by a new-to-me author too… I’m now in the throes of collecting all her other books! Another book on my ‘to be read’ pile, described on GoodReads as ‘fantasy crossed with Chinese folklore’ it sounds like a nice light-hearted treat. The premise of this book is utterly ridiculous but so much fun, if nothing else it has the best title ever! 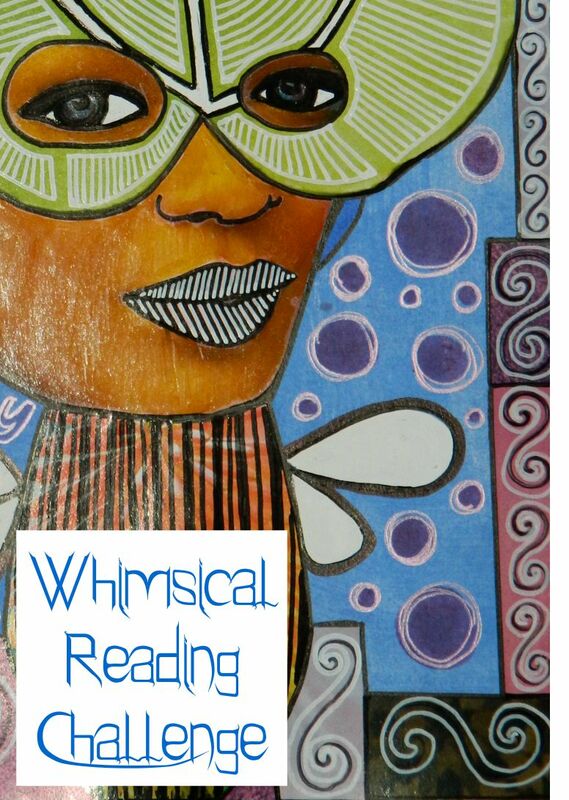 Remember to leave me a link to any whimsical reading challenge posts and I’ll come check them out! Firstly I’d like to say WOW. I’m so humbled and grateful for the kind responses to my slight identity crisis yesterday. I hope you’ll all go and check out Lynn, Janet, Beth and Buffy and leave them some love (and send some good thoughts out for Mog – I don’t have a link to her blog, but she’s one of the fab five who gave me the lift I needed yesterday). They reminded me of the things I love about blogging, and made me realise that people actually enjoy reading the things I write. I have a few scheduled posts ready to go, but other than those, I’m going to have a little bit of down time and get working on some new things (top-secret at present! ), also I’m buying a house this week so I’m kind of busy. A week or so ago I shared an update of my Readarama progress (the Penguin hosted challenge involving reading at least one book per week for the whole of 2013), but I only went up to the end of May… so today I thought I’d bring you up to date. Week off with the legitimate excuse of final exams! As I said before, I have many a review pending, just be patient with me! 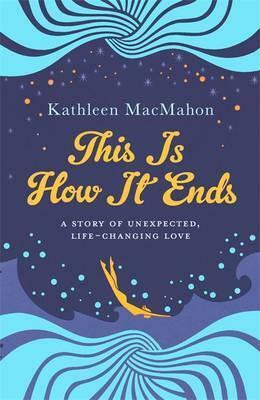 This is How it Ends by Kathleen MacMahon is another book from the Richard and Judy Summer Book List, and I have to say… I’m pretty torn. Going by the other reviews I’ve read, this is an uplifting tale of hope, love and second chances. In my opinion this is a book about being kicked in the face by life again and again, until suddenly life picks you up… but only so it can kick you back down even harder. The plot just didn’t float my boat, and set against the backdrop of the recession/Obama election? No thank you. That’s the kind of ‘current events’ that isn’t quite current enough to be relevant, but too current to be enjoyed by me. However, I thought the characters were all phenomenal. Every single figure was well crafted and clearly well-loved by the author. All were imperfect in their own quirky little ways, and it was so, so easy to get attached to them! They were the force that encouraged me to keep reading. It was the relationships that held my interest, nothing else. I can’t seem to come to a solid conclusion about this book… I didn’t like it enough to keep talking, but I didn’t hate it enough to rant… so instead you’re stuck with a short, unsatisfying review. I guess that’s just the way it goes sometimes!